Covilhã, Portugal: new piece by Spanish artist Roc Blackblock for WOOL | Covilhã Urban Art Festival. EN | June 17, 2017. 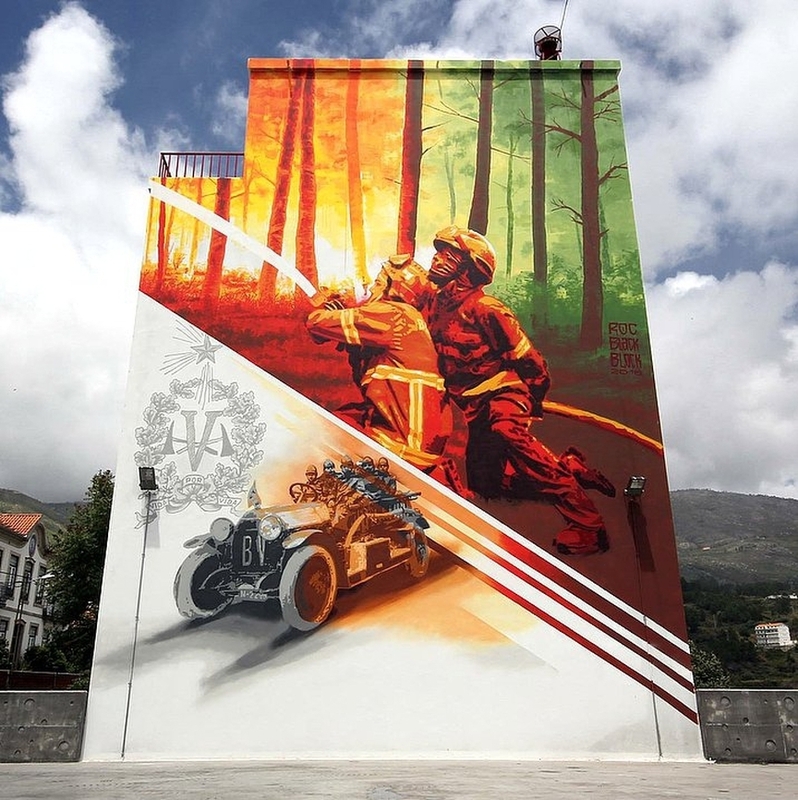 Just a year ago, Portugal was living the first episode of the most tragic fires in memory. 64 people lost their lifes, 134 got injured and the scars with live on hundreds more. For those who live in the interior of Portugal, for those who live specifically on a hillside at the Serra da Estrela, it is unfortunately a recurring theme, of past and present. For these two reasons, this year, WOOL could not miss the opportunity to honor who gives Life for Life.